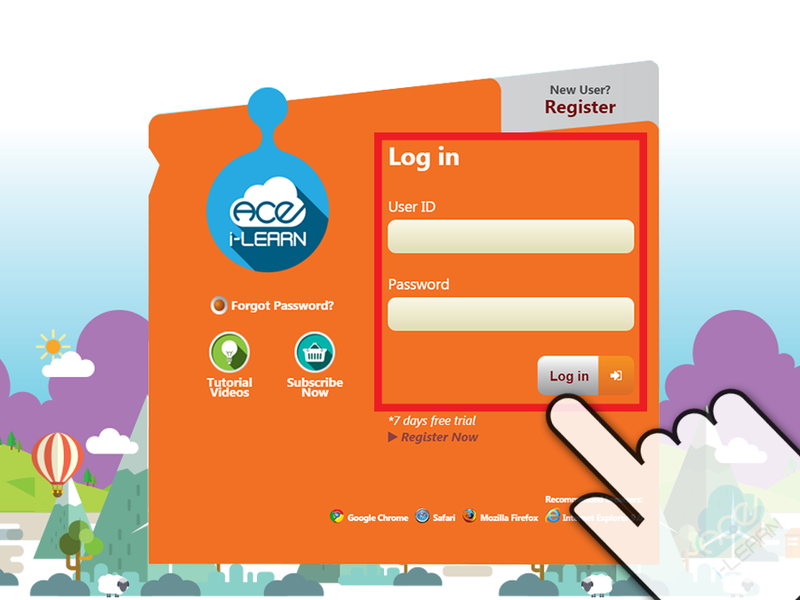 i-LEARN Ace and start enjoying the sleek new tech education. 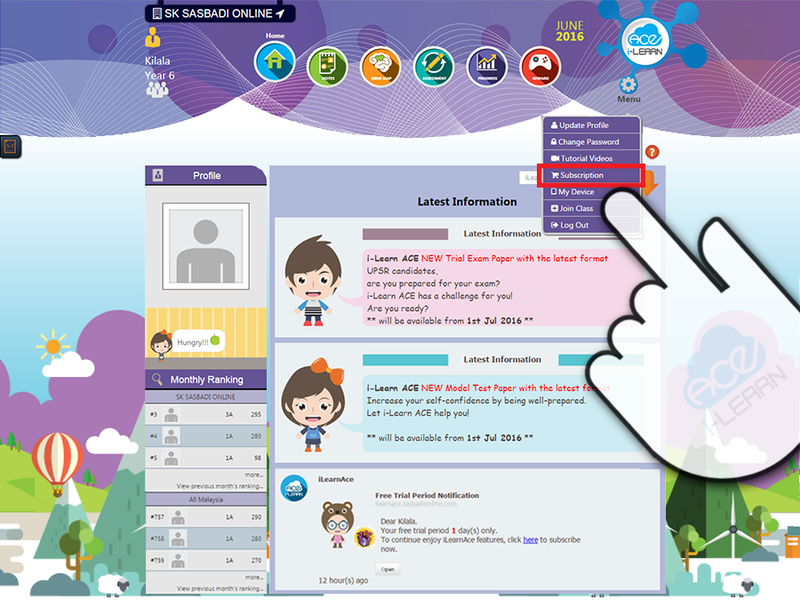 If you are a new user and do not have an account,click New User? Register. 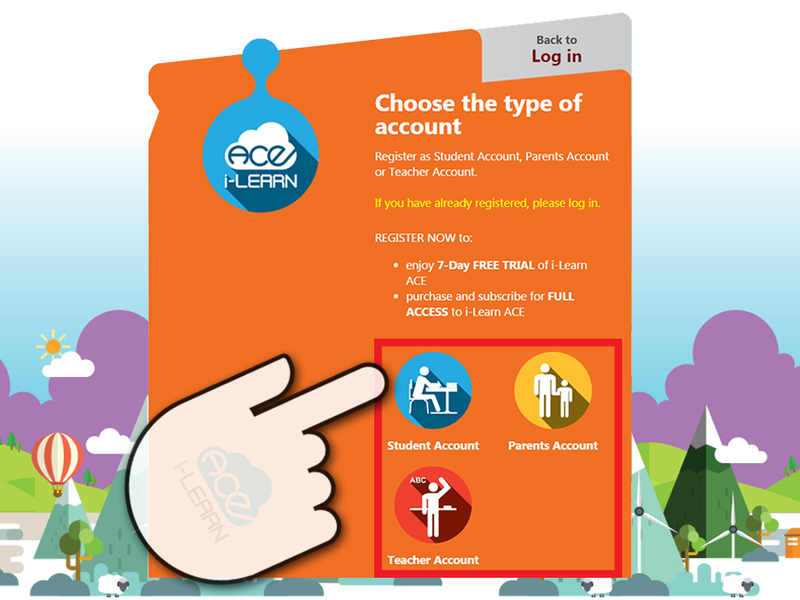 Select the type of account you want to register with. 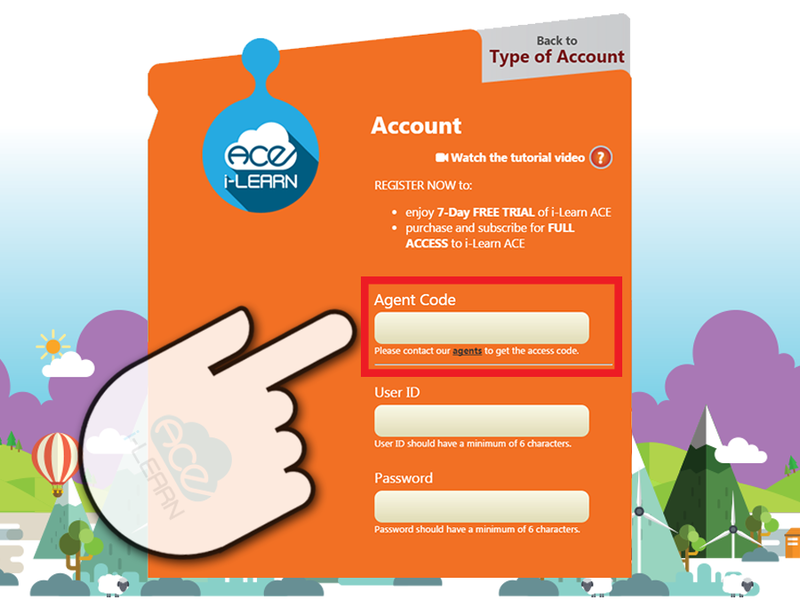 If you do not have the Agent Code, please contact our Agents to get the agent code to complete the registration form. 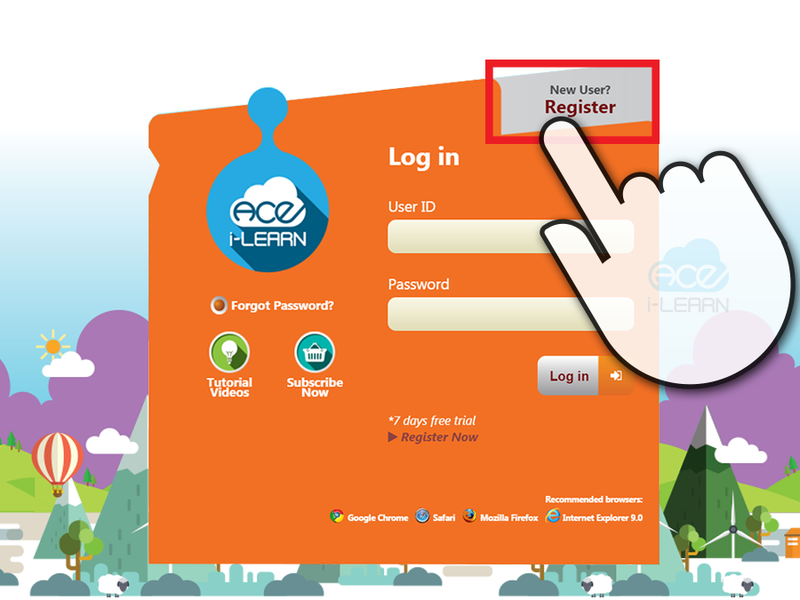 Log in with the User ID and Password you have already registered with. 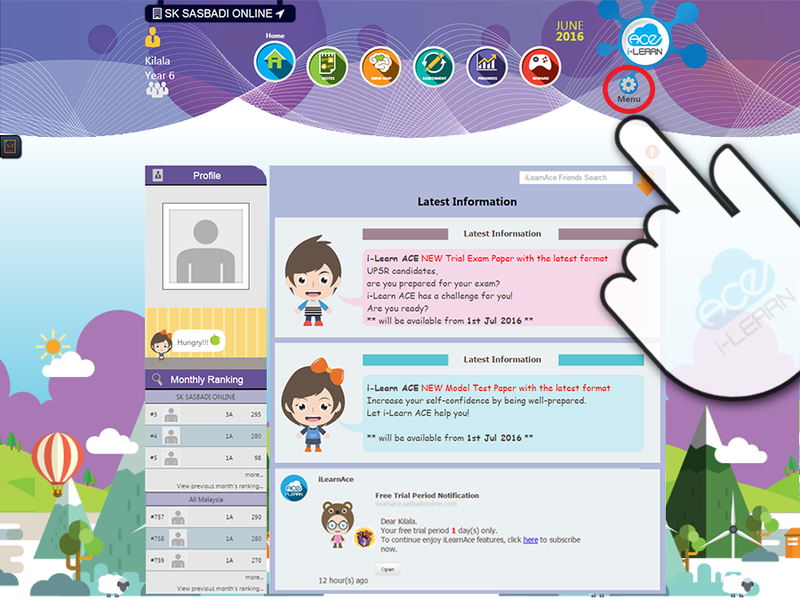 Click the Menu button at the top right corner of the home page. 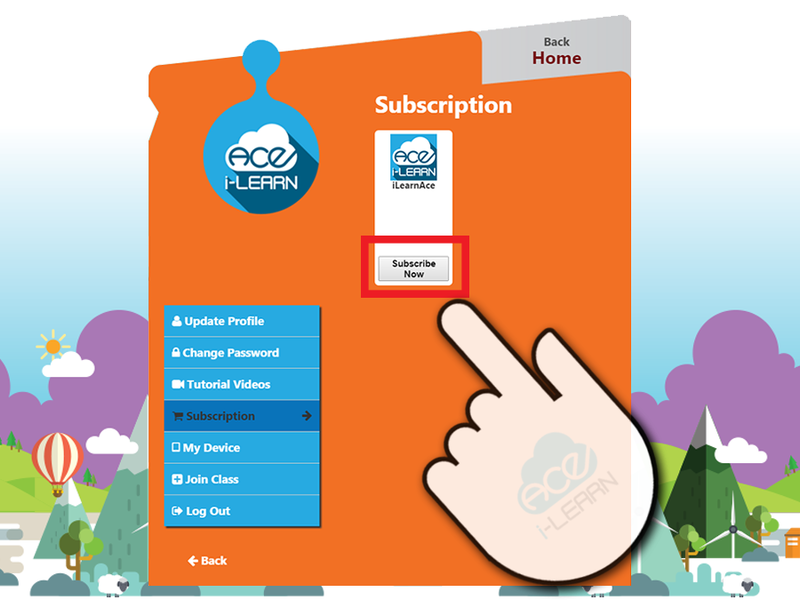 Select the Subscription option from the drop-down list. 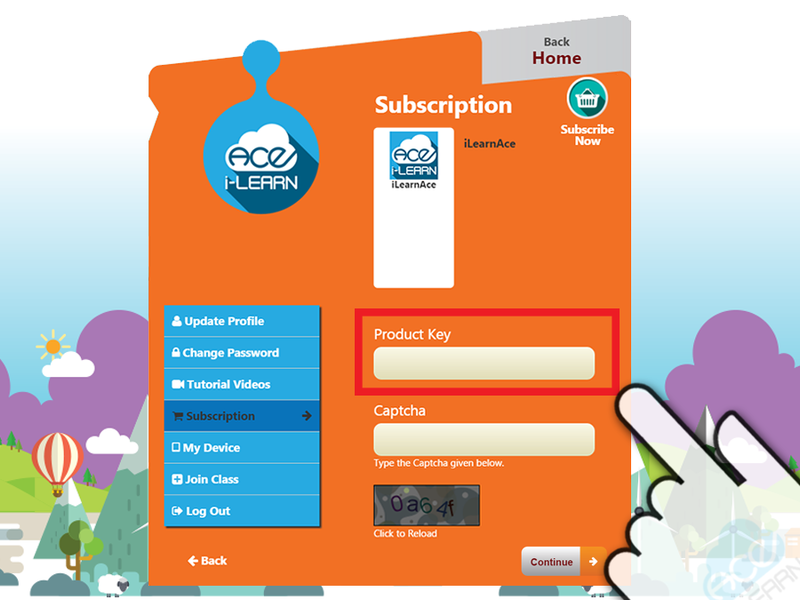 Key in the Product Key on the i-LEARN Ace card that you have already purchased from the agents and complete the Subscription form.